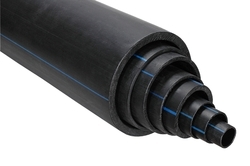 Our comprehensive range of HDPE Pipes is manufactured using quality HDPE granules and is designed in compliance with international quality parameters. These are widely used Agriculture, Horticulture, Floriculture and other applications due to its anti-corrosive characteristics. Unaffected by chemicals and soil, these pipes have numerous techno commercial advantages over the conventional piping systems. 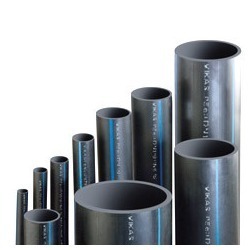 Our range of pipes has smooth inner surface that offers a high flow factors reducing the time period which is required for supply. We are engaged in offering our clients, an exhaustive range of PVC HDPE Pipes that is designed as per international quality standards. Our range is manufactured using quality raw material procured from the reliable vendors of the market and is widely used in domestic applications. 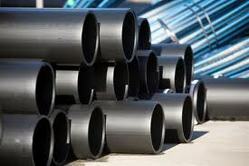 We also customized our range of pipes as per the specifications detailed by our clients. We are offering our clients, a comprehensive range of Agricultural HDPE Pipes that are manufactured using qualitative HDPE granules sourced from the trustworthy vendors. These pipes do not get affected by chemicals and soils and have a number of techno commercial advantages in comparison to the conventional piping systems. 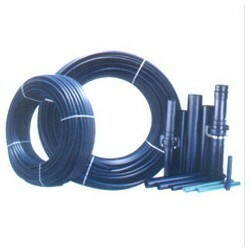 Anti-corrosive HDPE pipes are widely used for Agriculture, Irrigation, Horticulture and Floriculture. Our cli9ents can avail from us, a comprehensive range of Polyethylene HDPE Pipes that is fabricated using high grade material acquired form the trustworthy sources. 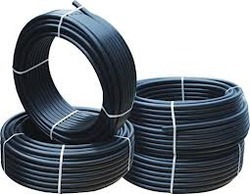 Our range of pipes is widely used for piping in Municipal, Metropolitan, Mining, Landfill Gas Extraction, Cable Duct, Underwater and agricultural applications. These have been tested and proven efficient for various applications related to underground, above ground, underwater and floating pipes.